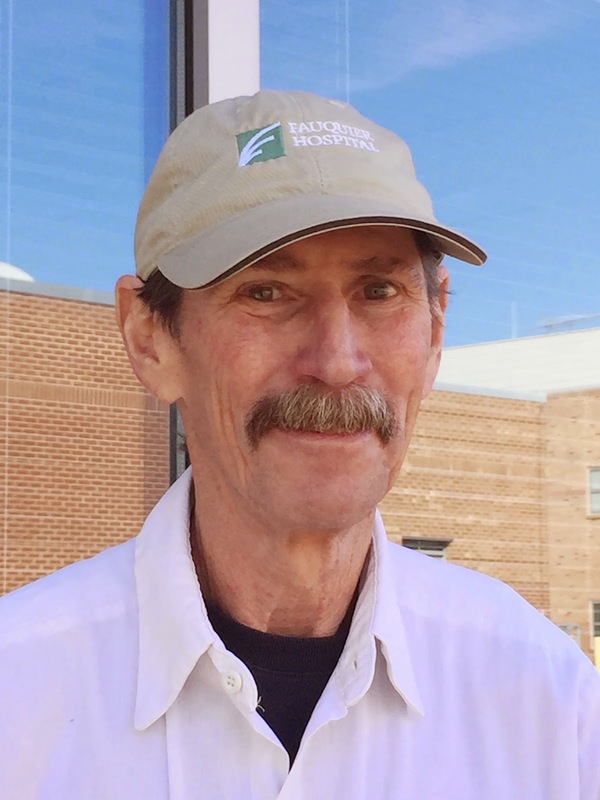 Just before Christmas, Fauquier Health electrician Larry Weaver was driving to one of Fauquier Health's offsite locations on Blackwell Road in Warrenton. He noticed what looked like a piece of paper on the ground. As he got closer to it and actually passed it, something told him to go back and take a closer look at it. As he turned around and pulled up closer to it, another vehicle drove pass, it flipped over, but did not blow away. He got out of the truck and picked the paper up. It was a bank envelope full of money! The envelope looked pretty beat up, but he could see it was an envelope from BB&T bank. After counting the money, which was substantial, he wondered what to do. Larry knew that this could be someone’s only chance to do something special for the holiday season or even just to make payments on their regular bills. Larry decided to check with the bank to see if they remembered giving out that amount of money and in those denominations. Luckily, the bank teller knew exactly who the money belonged to and they were able to place a call to him. The owner was an elderly gentleman that has been very ill and thought his money had been lost forever. He and his wife were very touched and extremely pleased that Larry was kind enough to make sure that they got their money back. The wife wanted to send Larry something nice for his troubles, which he declined, saying only that he was just happy that he was able to give the money back to its rightful owners. The bank teller was extremely touched as well. With tears in her eyes, she gave Larry the only thing she could … a mint for his troubles.